"The fight for the web is one of the most important causes of our time," Tim Berners-Lee said. On March 11, 1989, Tim Berners-Lee, a British computer programmer working at CERN, the European Particle Physics Laboratory, sent in a proposal for an information management system. His boss responded with a note that read "vague but exciting." That proposal was the first sketch of what would become the World Wide Web, creating the system that functions on the internet today. But on the 30th anniversary of his breakthrough invention, Berners-Lee shared a warning about the "sources of dysfunction" the web faces and how "the fight for the web is one of the most important causes of our time." In an open letter published Tuesday, he wrote about the consequences of the growing division that his invention has fueled. "Of course with every new feature, every new website, the divide between those who are online and those who are not increases, making it all the more imperative to make the web available for everyone," he wrote in the letter. 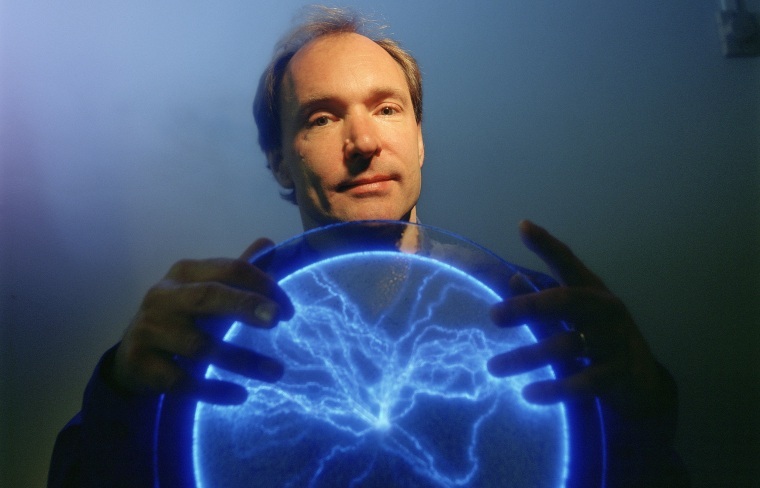 The web inventor now runs the World Wide Web Consortium (W3C). which aims to help develop various standards and guidelines for the operation of the web. Through his foundation, he launched a campaign called "Contract for the Web" to "establish clear norms, laws and standards that underpin the web. Berners-Lee made the announcement of his new effort at the Web Summit technology conference in Lisbon, Portugal, last year. The French government and more than 50 companies, including Facebook and Google, have signed the contract, which is set to be published in full in May. Berners-Lee's warning adds to growing concern about the state of the internet around the world, the powerful companies that now control vast swaths of user attention, and the prospect that the open and fair internet that facilitated the growth of those companies is at risk. Last week, Democratic lawmakers announced a new proposal to restore net neutrality laws in an effort to undo the Federal Communications Commission's repeal of rules that ensured equal and open access to all websites and services for internet users and content providers. Today, the internet and the web are words that are used interchangeably, but their functions are different. The web is a widely used system to access the internet. The internet is a network of computer networks that make it possible for computers and various devices to communicate with one another. Berners-Lee said this communication system has "given marginalized groups a voice," but has also "created an opportunity for scammers, given a voice to those who spread hatred, and made all kinds of crime easier to commit." He appeared to reference technology giants such as Google and Facebook that have created new industries while also fueling recent debates around data privacy, misinformation and the role of social media in a democracy. But Berners-Lee said he is also optimistic about the future of the web and that "it would be defeatist and unimaginative to assume that the web as we know it can't be changed for the better in the next 30 [years]." Farnoush Amiri writes for NBC News.